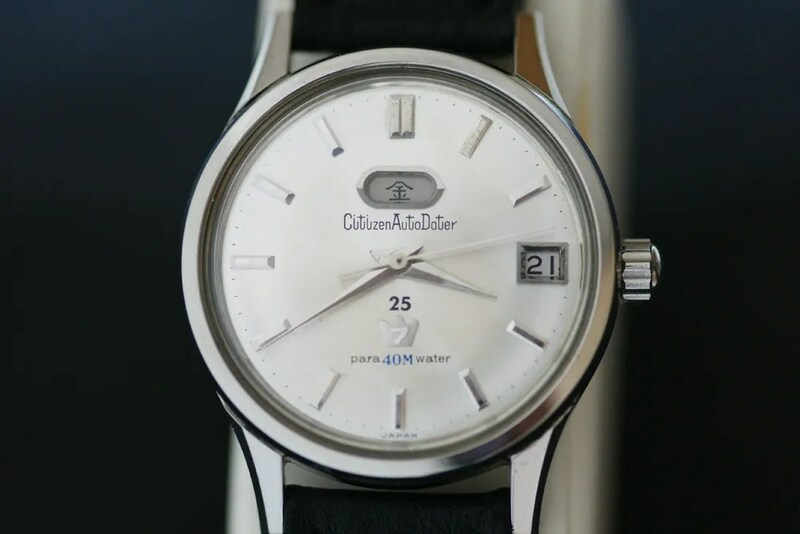 Although Citizen’s first (and now rare!) 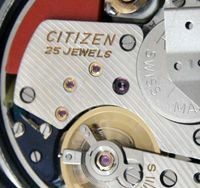 automatic watch used the familiar ‘swinging’ or ‘oscillating’ weight type of rotor when it was launched in 1958, the company designed and used its own circular geared rotor in the early to mid-1960s. It used this design in the ‘Jet’ and ‘Super Jet’ models, and it is known as the ‘Jet rotor’. In the mid-1960s the Jet movements were dropped in favour of swinging weight designs – I have read somewhere that the Jets were a little less reliable, but I’m not sure if this was actually the case. Perhaps more important was the trend to slimmer designs to which the swinging weight was better suited. 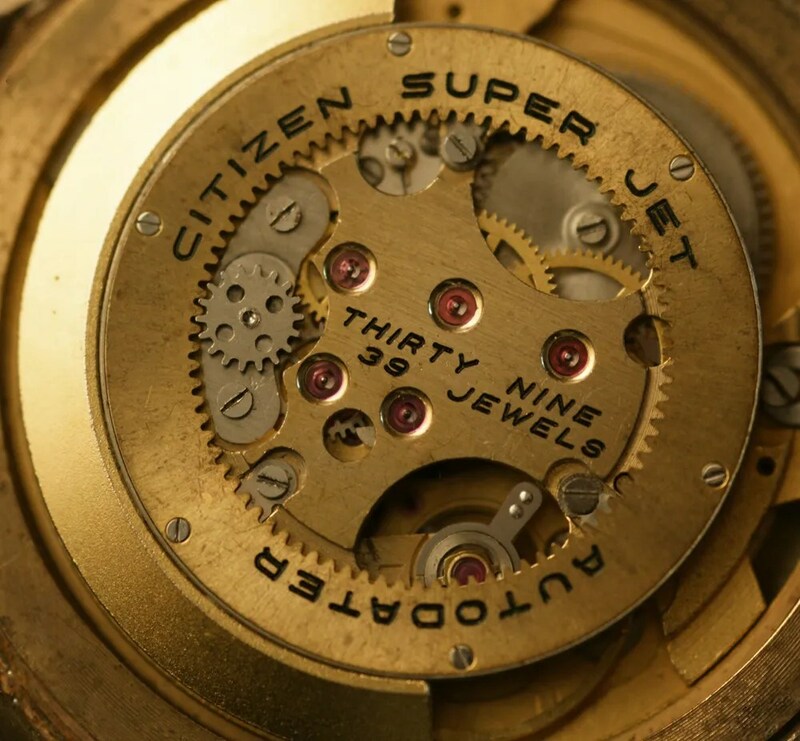 The Jet movements all ran at 18,000 beats per hour, and generally can be hand wound – the exceptions (as far as I know) being the 0320/0321 and 1130/1/2/3 movements with 17 and 19 jewels. This includes the ‘Rookie’ models, some of which have small, recessed crowns as a result. I’m not sure at this stage whether the 1120 movement with 19 jewels has hand winding or not. 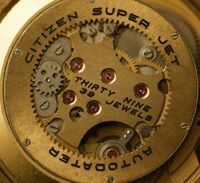 Some movements had an ‘Easy Change’ quick set mechanism for the date, which involves pulling the crown in and out when in the time setting position – this has the disadvantage that the date can be accidentally changed if the crown is pulled a little too hard when the time has to be adjusted. 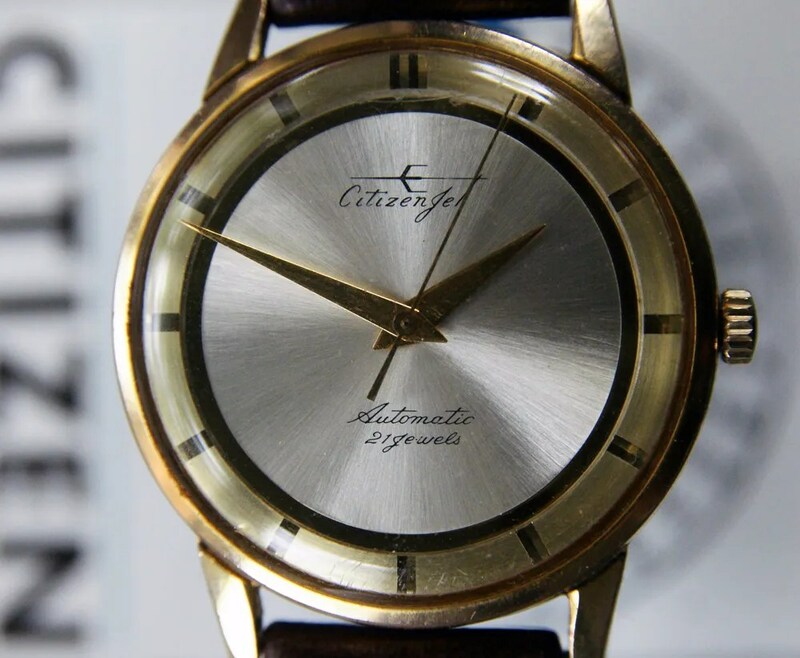 As far as I know, all the later (41xx) movements had the Easy Change feature as well as hand winding capability. 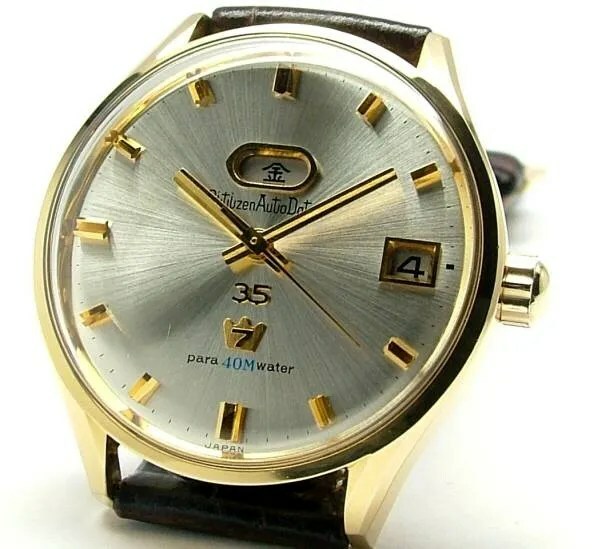 The later models had day windows, which can only be set by winding back and forth between 12 and 9. 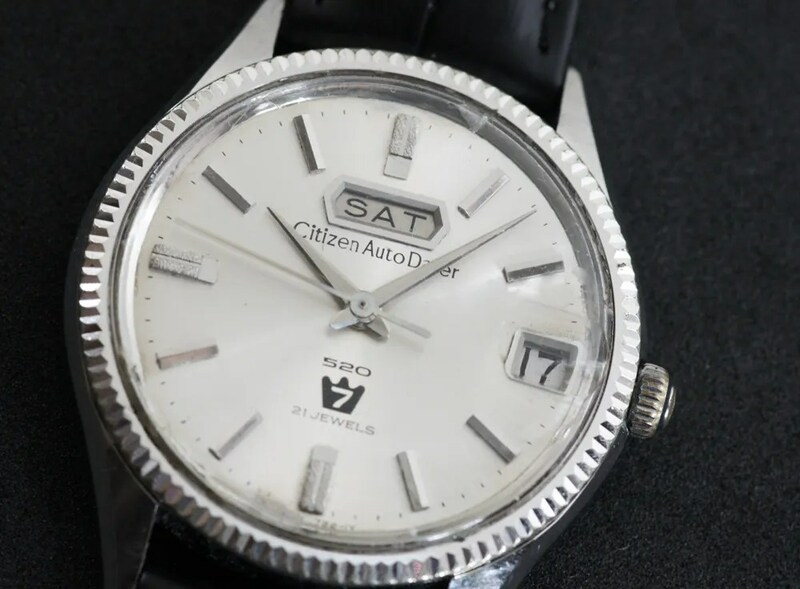 NB: The ‘Seven’ description on these models, and indeed on other lines, for example the Crystal Seven, appears to be used where both day and date windows are present. The following summary is correct to the best of my knowledge at the moment – I’ll add and amend if and when other / more information comes to light. 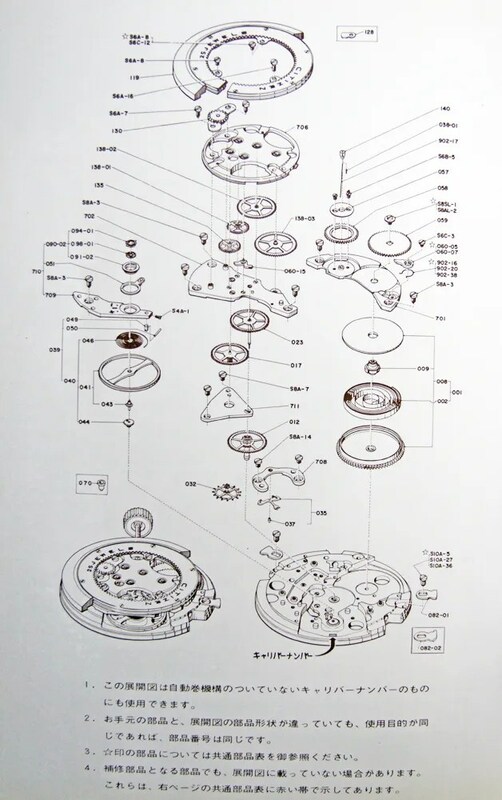 If you’re interested in the architecture of the movement, here are schematics showing how it is put together. What is the easiest way to open a snap cover on Super Jet Auto Dater. There is no lip or notch to go by. 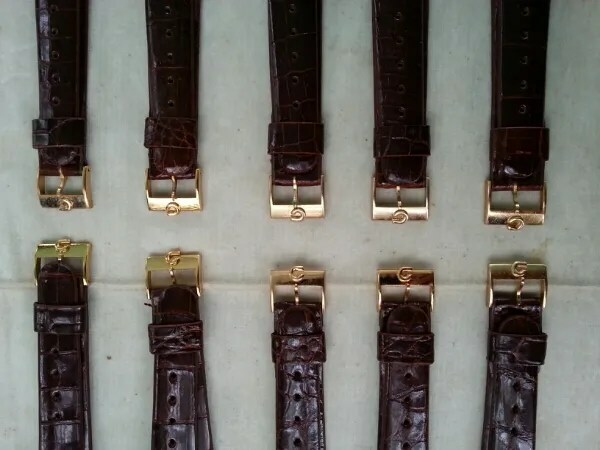 there should be a fine notch in the case back – depending what position the back is in, it may be between the lugs so will be hidden by the strap or bracelet. In fact I think that this is the correct position, with the notch at the 6 o’clock point. The notch is rather fine, so will be clearer under a loupe. I have found careful use of a small (watch repairer’s) screwdriver, small enough obviously to engage in the notch and then twisted rather than pushed too much, works on this type of case back. My knife type case opener is not really thin enough, and is more likely to slip and cause damage. I inspected the case under the magnifying glass and it looks so tight as if it was a single piece. No sign of notch. Is there a way to access it from the front, through the crystal? 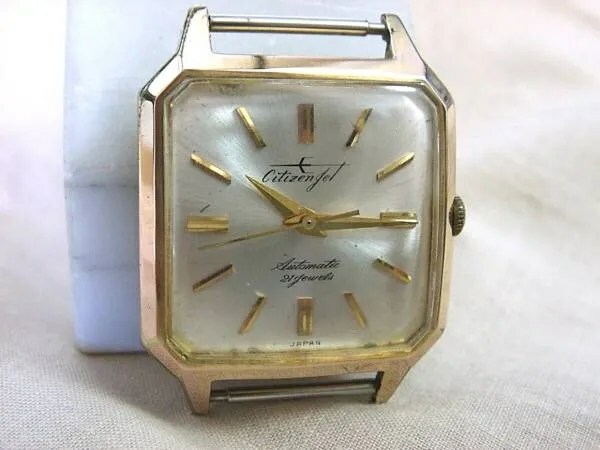 I’m not a watch repairer, so I’ve never opened up a one piece case, but there are tools for this, one being a ‘claw’ which pulls the crystal off. 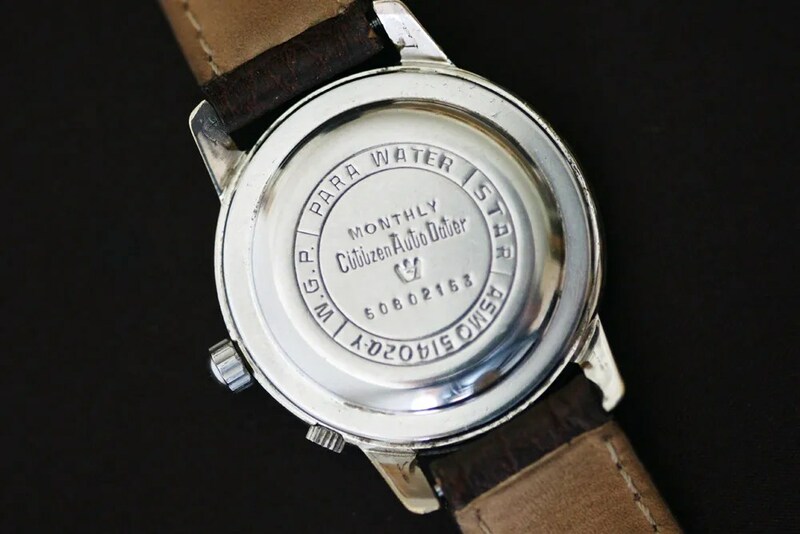 A competent watch repairer should be able to do that. Have you any pics of the watch you could link to – it would be nice to see it, there are not that many about 🙂 If not can you describe it and the markings on the back? 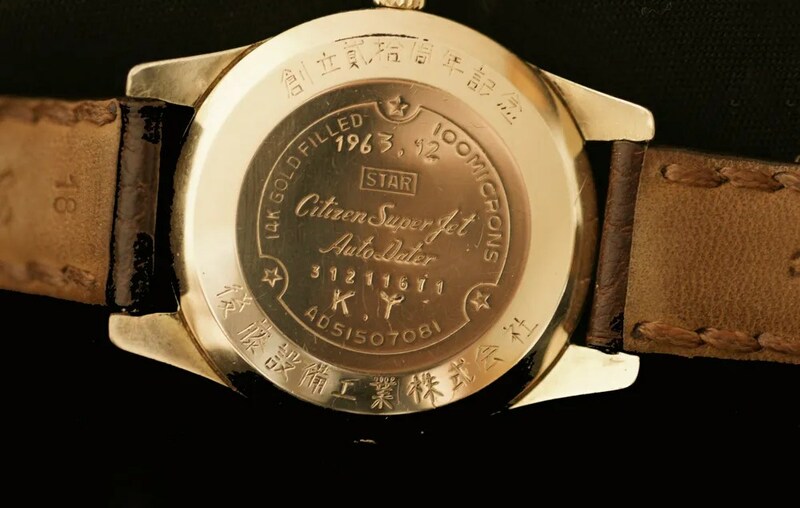 Hi Stephen, do you know if the Jet family watch came with a signed buckle or it is usually plain in 1960s? Thanks! 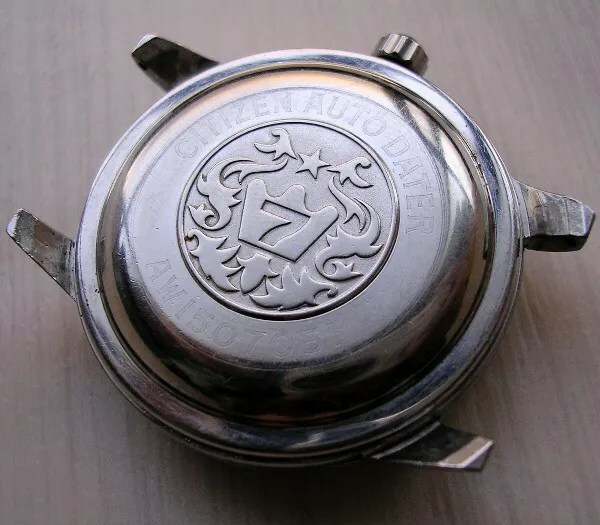 So I’m afraid I can’t give a clear cut answer – my gut feeling is that it is likely that signed buckles and clasps would have been used, but not necessarily on all models, may be on the more expensive ones. 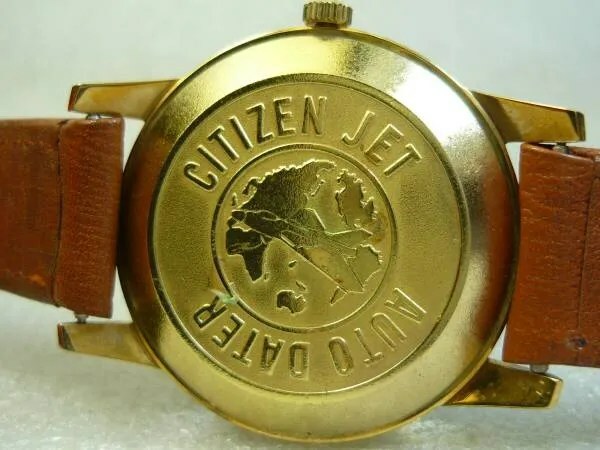 Hi, I’ve recently bought citizen jet. It looks a bit of frankensteined, here’s a pic. 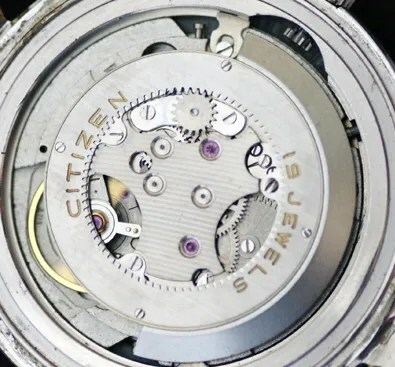 the bigger problem is that original caseback was replaced with a caseback fom the regular GN-4W-S. it’s slightly lower then the original, and rotor gets caught if the case is fully tightened. 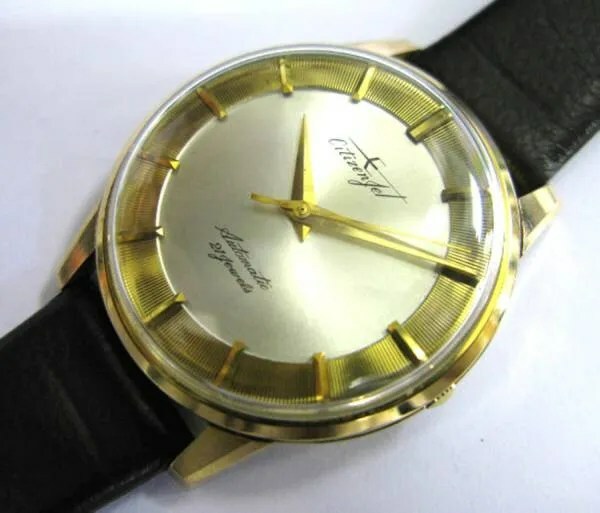 Do you know where I can search for the original caseback, is there a number code for such spare part? Hi, and thanks for visiting my blog. 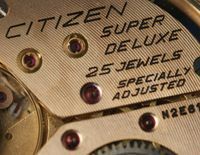 First of all, it is very hard to find parts for many of the vintage Citizen models, and especially so for the Jet automatics. 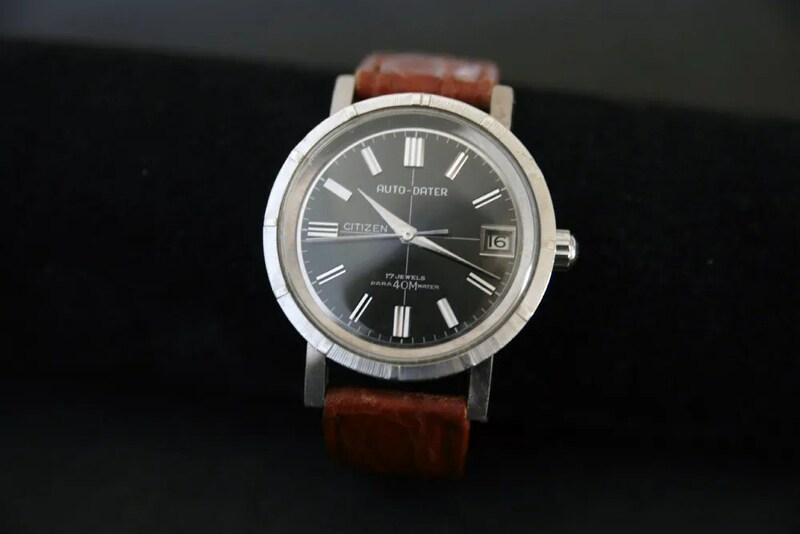 Finding a ‘donor’ watch would be the way to go. 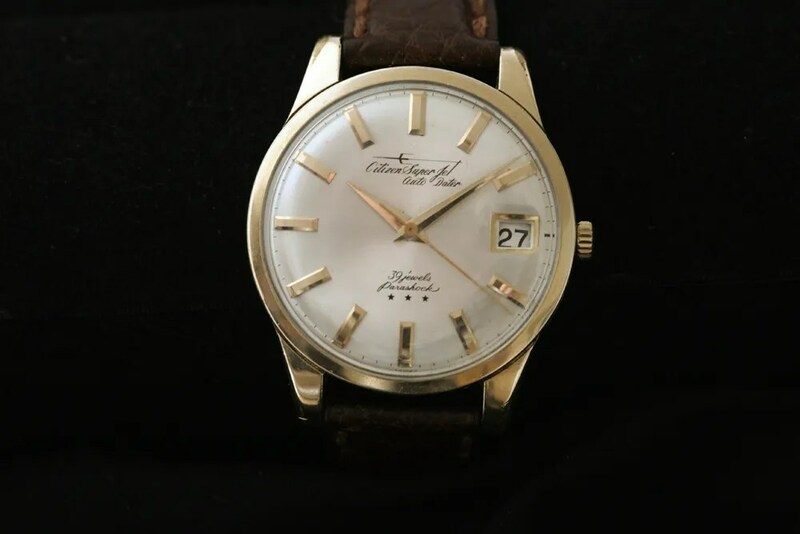 Unfortunately the code to identify the correct case and back would be stamped on the case back, so finding the right case is quite a challenge if the back has been changed. 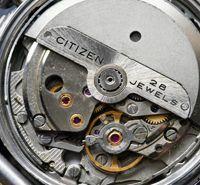 However, I’m afraid your concern that your watch is ‘frankensteined’ may be well founded 😦 Apart from some very rare Jet divers, the Jet models have press on case backs as far as I know, which suggests to me that the case itself is not correct for a Jet model, rather than just the case back. 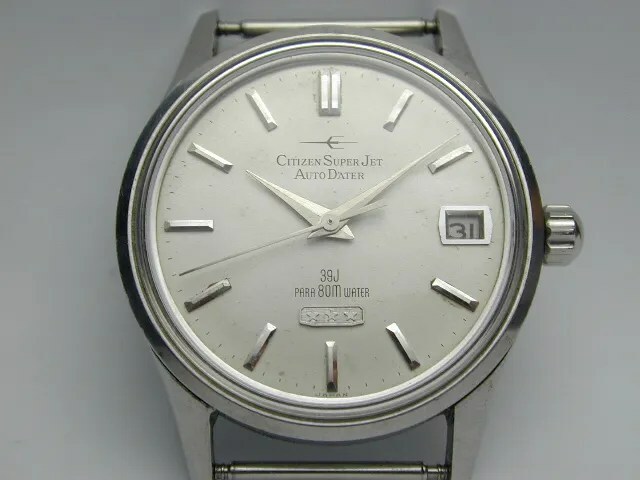 The hand set doesn’t look right to me either, and there are questions about the dial too 😦 Where did you get the watch? 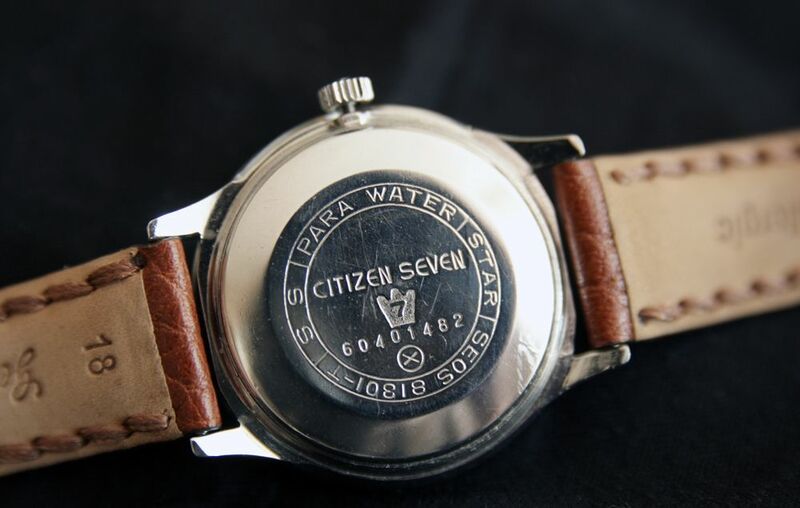 Thanks for reply, I like vintage Citizens a lot, though I can’t afford collecting them as much as I’d like to. Your blog is a great source. I bought it rather cheap from some online seller from Malaysia. 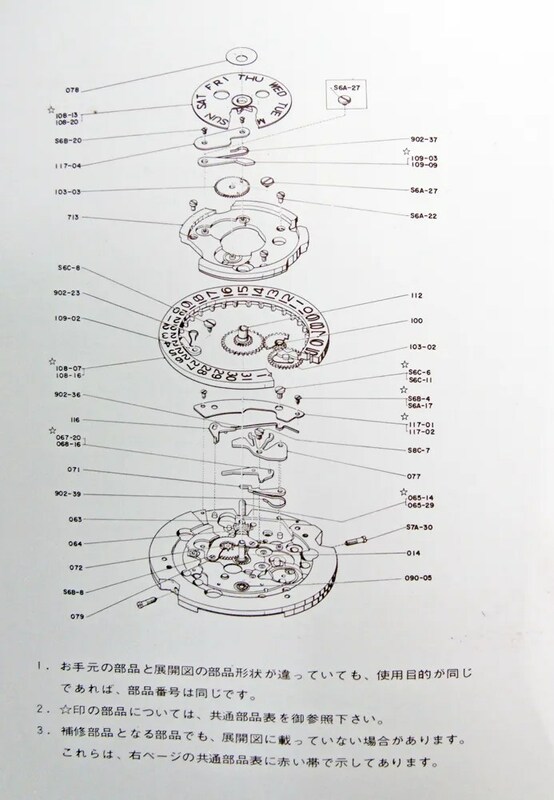 I was interested in rotor movement (there’s early 23 jevels movement inside, running strong http://i58.tinypic.com/13zzle8.jpg ), at least this is something that can’t be forged : ) . 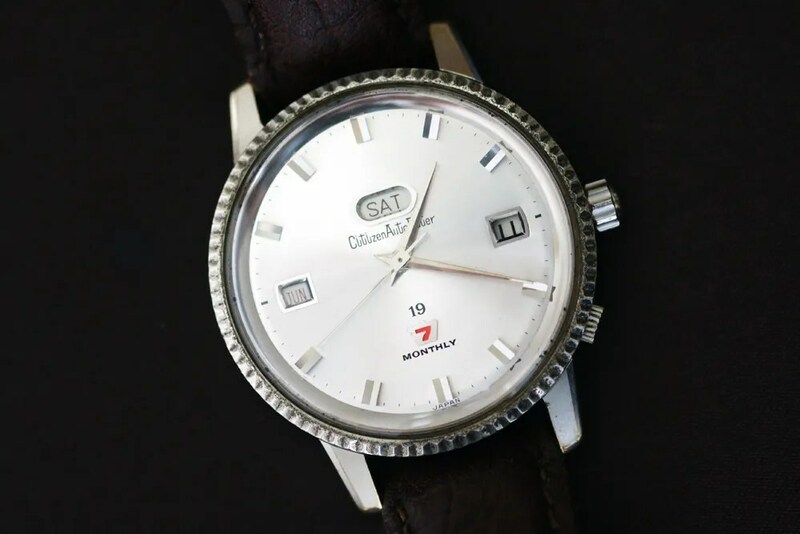 What are your suspicions about the dial? 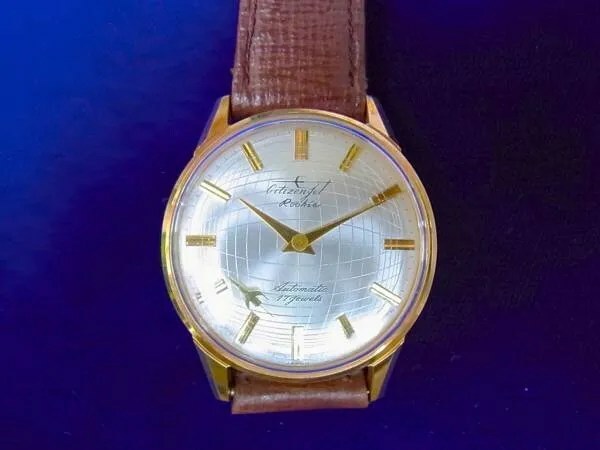 I think it’s pretty hard to repaint sunburst dial with fine print. thanks again. 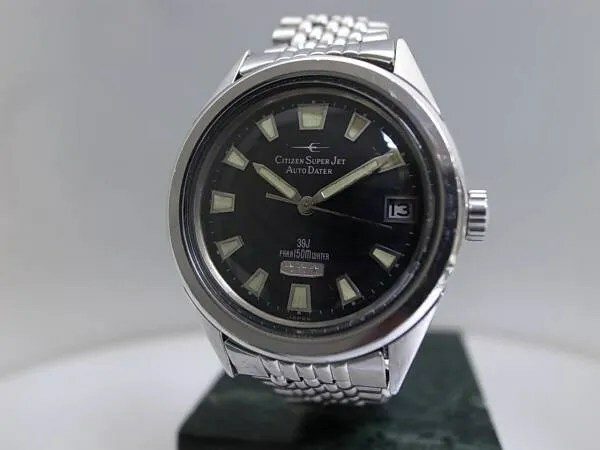 do you think it’s worth it to compliment this watch with proper case (I think I can get one from japan in NOS state) and hands, or this is a lost cause? I have seen ‘Jet’ cases for sale on Yahoo Japan, so it could be possible I suppose. Have you seen the hands for sale? 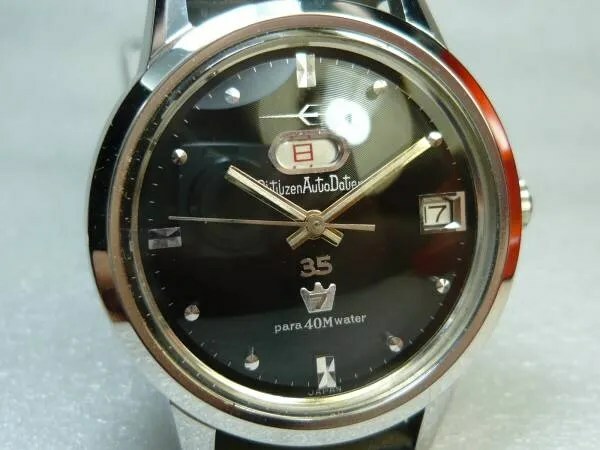 I have seen dials too. Do you think it might be a safer bet to look for a complete Jet model on Yahoo Japan? They can be found at reasonable prices in decent condition. That might be better than buying parts and finding they don’t all fit together properly! I’ve had a look around for modern replacements in this style, but not been able to find the correct sizes I’m afraid. They only to go up to 150/90/17 and I don’t know whether they would be the right length. 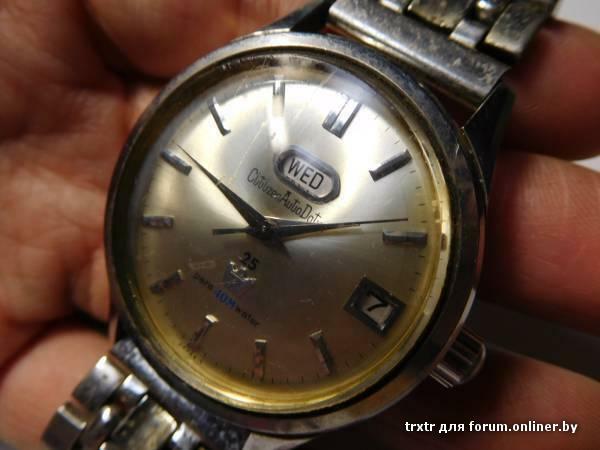 So I would think a donor watch is the likeliest solution, but finding a cheap parts watch is not easy. I’ve had a look on Yahoo Japan, but nothing on there is suitable at the moment. You’re welcome, I hope you can find some hands. De Online Vertaler doen niet te goed werk van het vertalen van uw vraag, dus ik weet niet als ik het heb beantwoord! 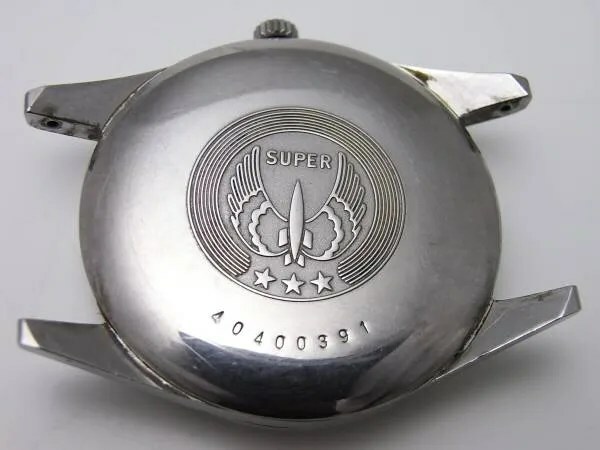 I can’t be sure, but it looks to me that it may also have been plated after polishing. 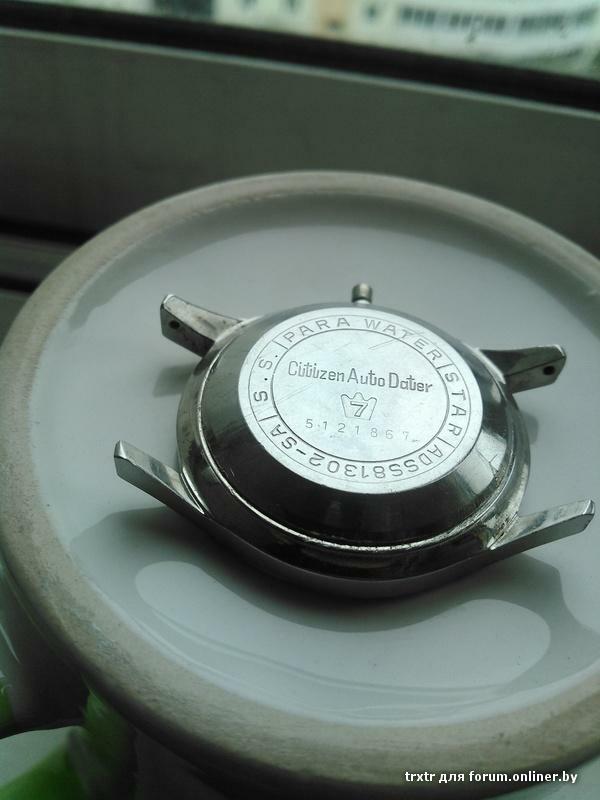 It is so shiny – mirror like – that it may have been chrome plated. 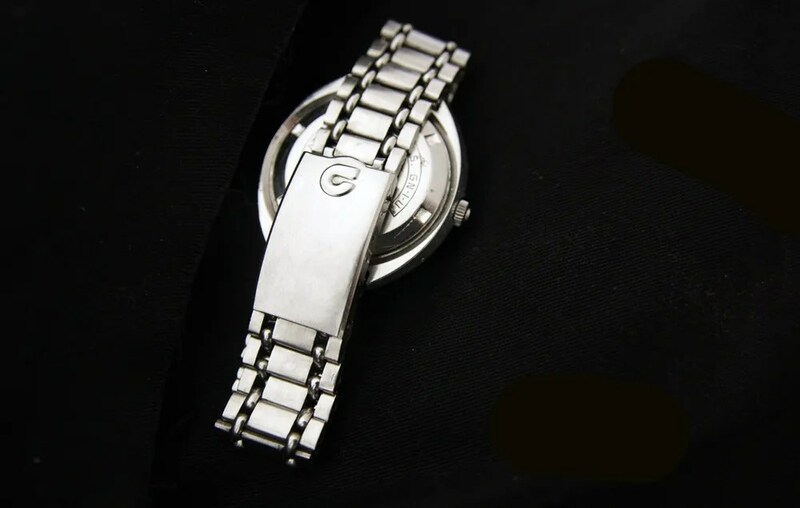 The case back also indicates heavy polishing. 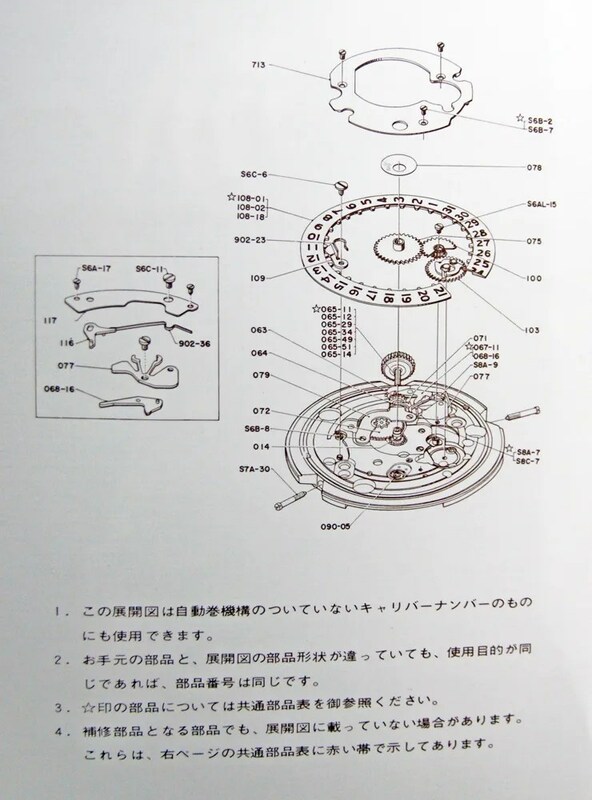 There is no movement picture, but the description tells us that the date is set by pulling the crown in and out, which indicates a Jet movement is inside. So, as far as your ‘is it legit’ question, I would say it is probably an original model, i.e. 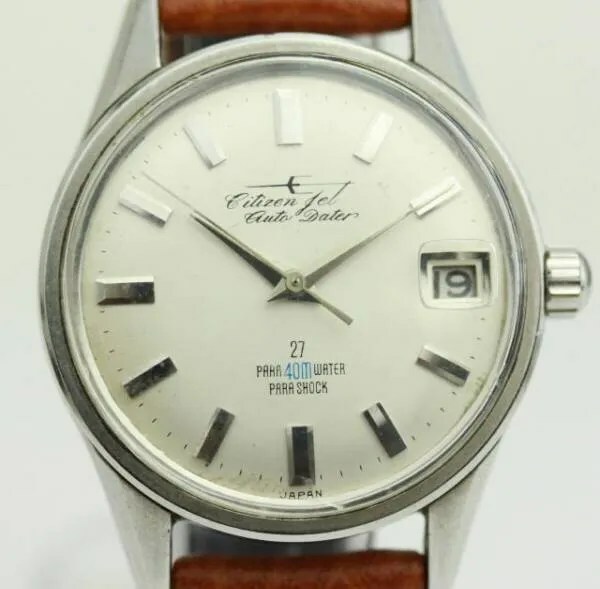 not a ‘franken’ that has been cobbled together, but it has undergone serious, and in my view heavy handed ‘refurbishment’ some of which is not described by the seller which takes it a good way away from its original character. Thanks so much. Your knowledge is impressive! Just got a 21jewel 6 ruby autodater. 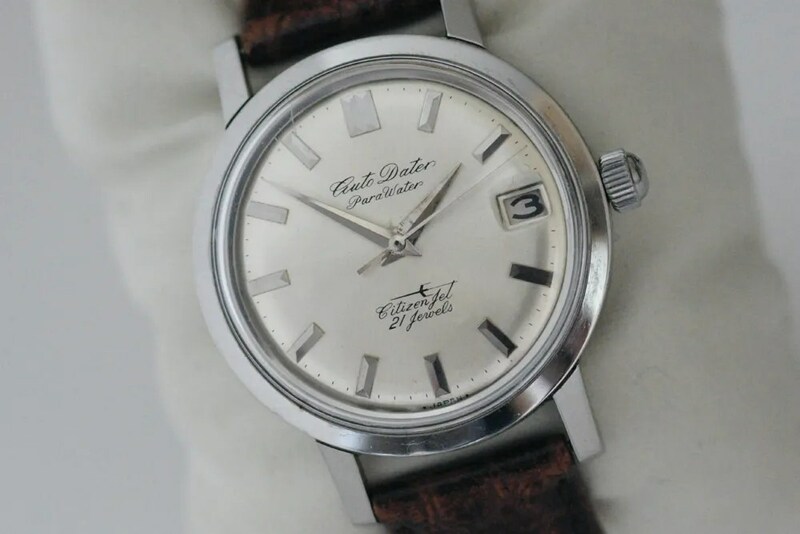 The dial is average condition but the movement is very clean. Thank you for such a great article on the jet.it has been most helpful. Hi Chris – congrats on your purchase and glad the article has helped. 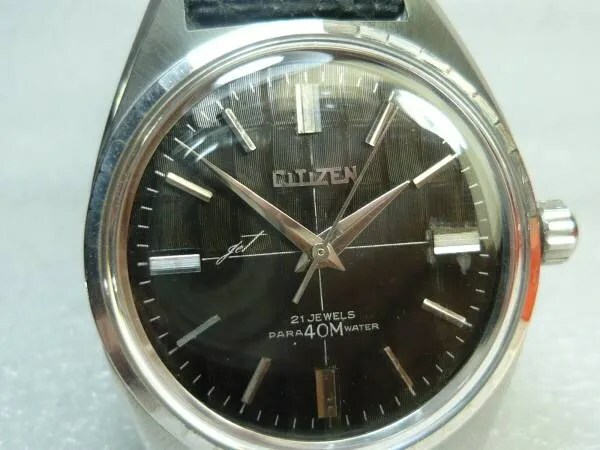 I’ve recently bought Citizen Auto Dater with Jet movement, and after a lot of time spent trying to open it I can confirm it has a monocoque design. You have to pry the bezel and lift the crystal. There’s no front lever to release the stem like in monocoque Cosmotrons 7803, but a split stem. Surprisingly, it doesn’t have (x) mark on a back case. Hi Trxtr – thanks for the helpful info and link to the pic. Although the ‘x’ mark indicates a monocoque case, I know they don’t always have the mark. Not exactly helpful of Citizen! 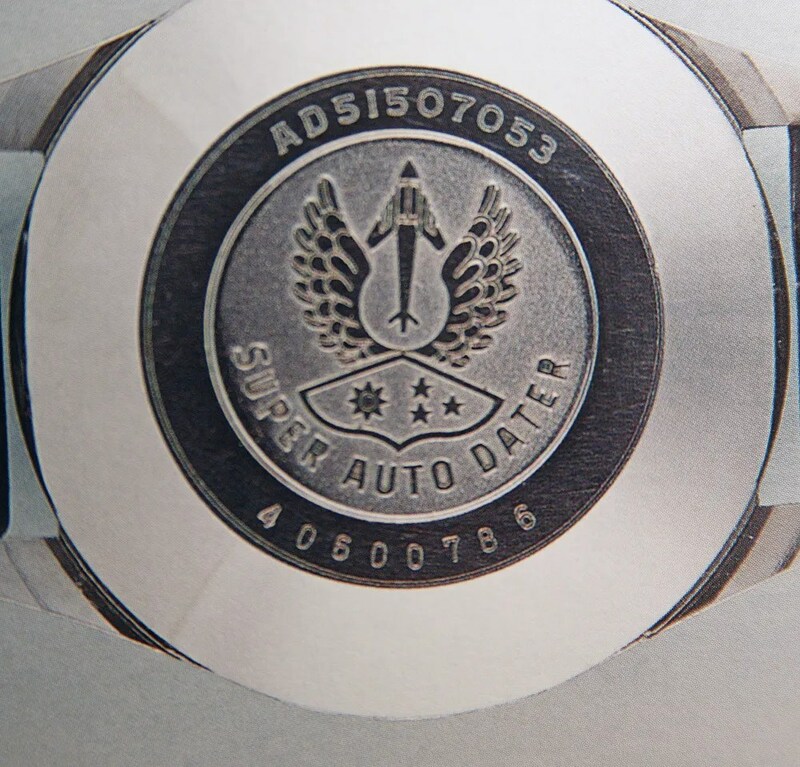 I have recently bought a lovely Auto Dater and have been reading your info on the ‘jet’ movements. My watch has both day & date windows which from your tables would likely indicate a later movement ie 4xxx. 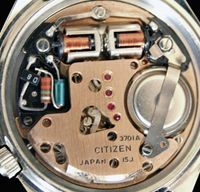 However the rotor has ‘6’ screws which would indicate an earlier movement ie 03xx or 11xx. 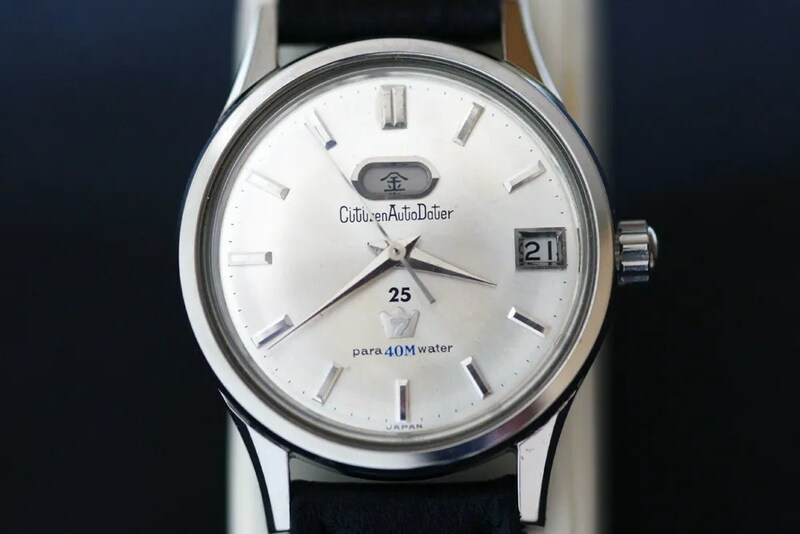 I am new to your blog so not sure how to attach pictures so I will provide info re my watch which might be useful. 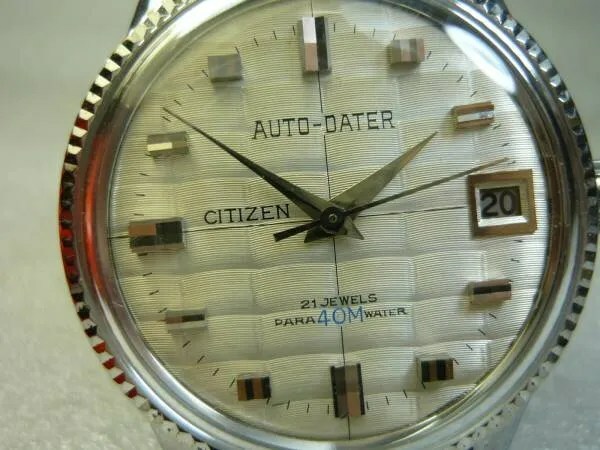 Dial says Citizen Auto Dater, 19 (jewels), 7 (in a crown), para40water. 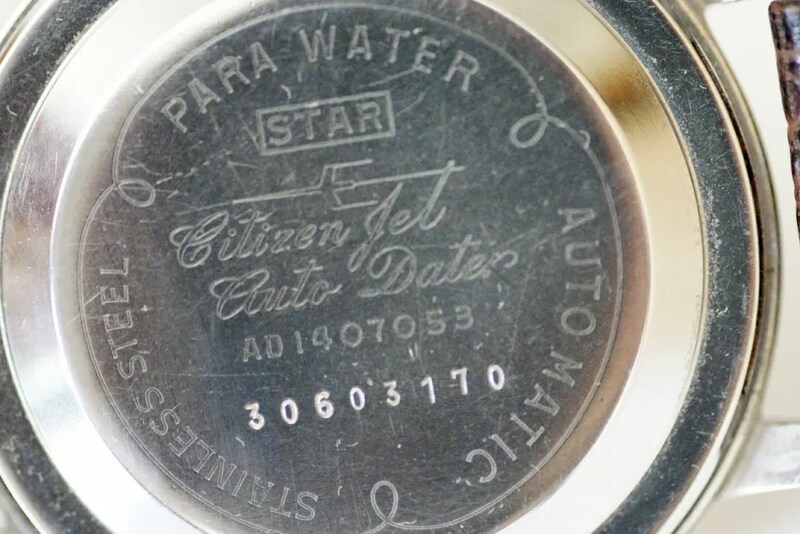 Case says Parawater, Star,ADSG-51401-Y, CGP which all circle a 7 in a crown with Citizen Auto Dater & serial number 41103187. 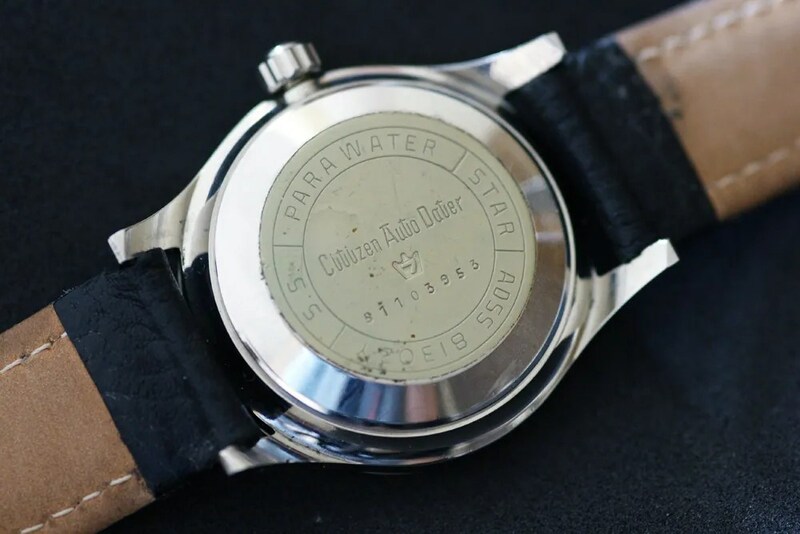 Any idea which movement this may be, or can I find it written anywhere on the watch? PS. I enjoy your blog/site & have recently signed up, thank you.